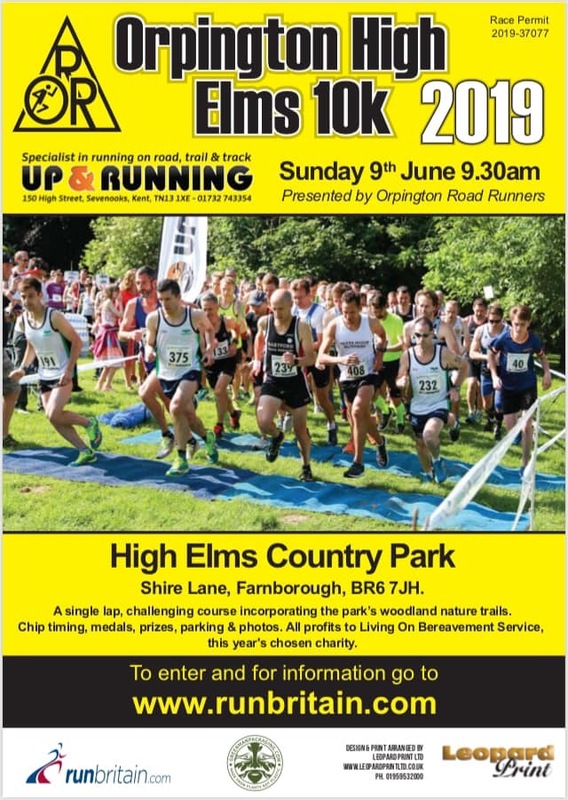 Orpington Road Runners are supporting Living On for 2019 and on Sunday, 9th June they are organising their annual High Elms 10k race. This is their main fund raising event for the year. The High Elms 10k is a tough, but well-regarded race. The race is a single lap, chip-timed event around the paths and trails of the park. There’s car parking, medals, all profits go to Living On Bereavement and we receive great feedback on the organisation and supportive marshalling. Entry are at runbritain.com to your club members and ORRs look forward to welcoming runners, families and supporters on the day.